With spring already in full bloom, it may be time to consider the most effective way to spring clean. Whether you’re looking for an eye-catching focal piece or a pop of colour, these gorgeous shelving systems have you covered. Minimize the clutter, utilise space to its full potential, and add a beautiful piece into your home today. 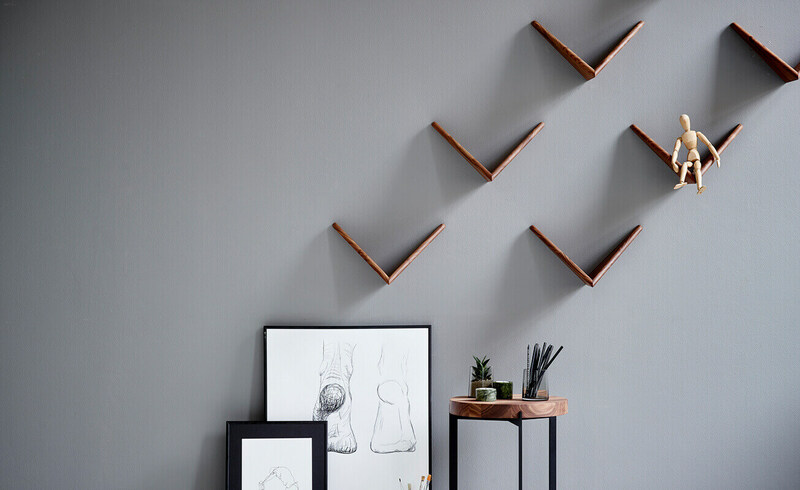 Used as a classic shelf, minimalist bookcase, or an aesthetic face-lift to any room wall, dk3’s Butterfly Shelf serves as a convenient storage for your everyday necessities. The playful contrast between the lightness of a butterfly shape and the solid wooden material adds a stunning play to any wall. Able to be assembled individually, the Mategot Dedal Book Shelf brings an exciting and abstract twist in contrast to any ordinary book shelf. 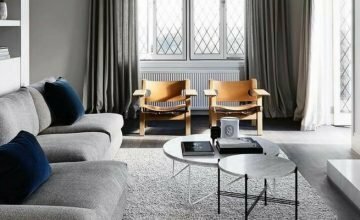 Dedal’s unique shape provides a frame for displaying anything from books to eye-catching accessories. With the ability to be expanded, this book case allows you to customise your very own book shelf, according to personal preference and space. With 42 units, 4 depths and 49 colours to choose from, welcome to a world of endless storage possibilities! Montana’s Modular Storage provides a flexible system that is designed to give you the freedom of style and creativity whilst meeting your every storage need. Start with a basic unit or find inspiration from one of the 216 already created options. 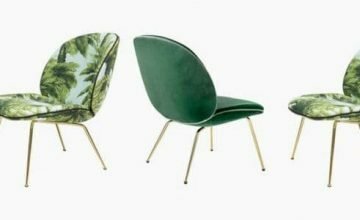 Use its large range of colours to add character and expression to any room. 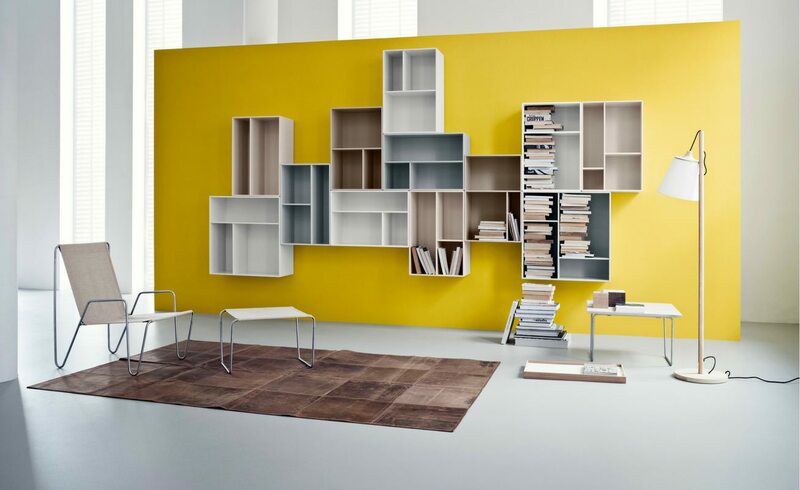 Add an interesting artistic element into your room with this abstract bookcase. With clean lines and individual sections, use this bookcase as storage or to frame your eye-catching accessories. 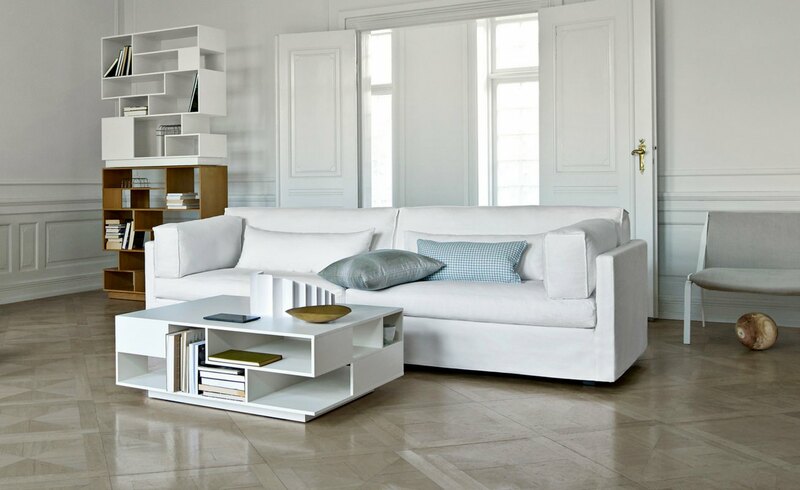 Compliment this bookshelf with its similar coffee table or TV console, or use alone as a focal piece to your decor. 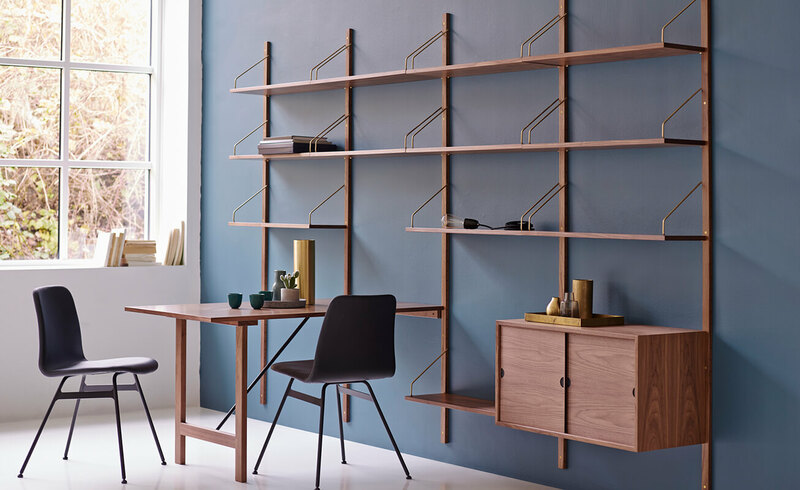 Created in 1948 by furniture designer Poul Cadovius, the Royal Shelving System is known as the world’s first wall-mounted shelving system and a global furniture system success. A breakthrough due to its light styling and combination possibilities, the Royal Shelving System is suitable for both residential and commercial interior design.